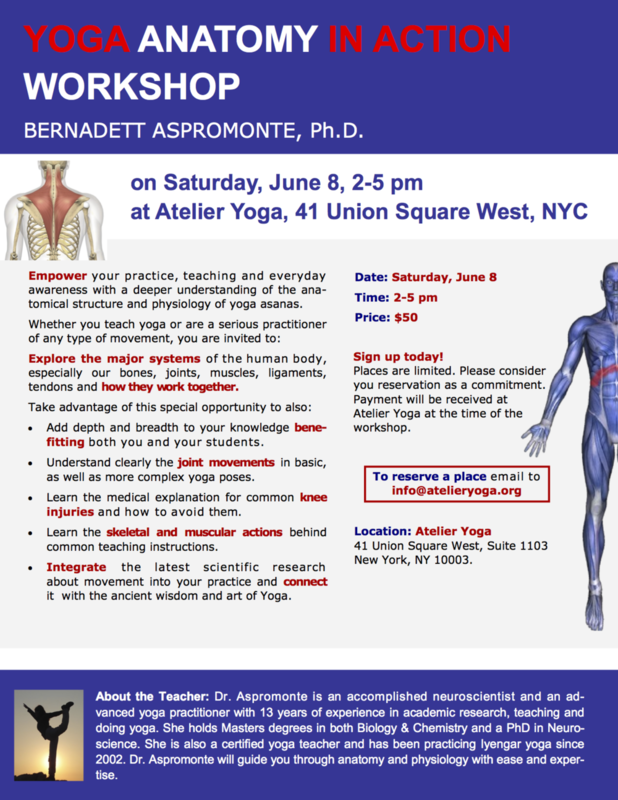 Yoga Anatomy In Action — Bernadett Aspromonte, Ph.D.
Empower your practice, teaching and everyday awareness with a deeper understanding of the ana- tomical structure and physiology of yoga asanas. Explore the major systems of the human body, especially our bones, joints, muscles, ligaments, tendons and how they work together. fitting both you and your students. as well as more complex yoga poses. injuries and how to avoid them. Integrate the latest scientific research about movement into your practice and connect it with the ancient wisdom and art of Yoga. Every Wednesday at 7:45 PM.